Yella was shot at more than a dozen times while he was driving on the Sam Rayburn Tollway, reports Dallas News. Officers found him wounded along State Highway 121 Bypass after they were called about 3:30 a.m. He was driving on the tollway when another vehicle pulled up next to him and someone inside the vehicle fired more than a dozen rounds, police said. We can now confirm that rapper Yella Beezy — whose "That's On Me" single has become one of the biggest songs of the year and one of the biggest rap hits ever out of Dallas — was hospitalized after being shot last night. 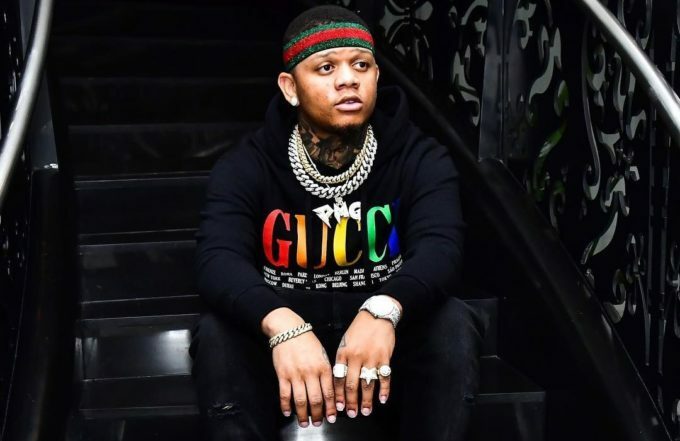 Yella was reportedly struck at least three times during the shooting but the rapper is said to be in a stable condition at the hospital. There are currently no suspects or arrests in the incident. Beezy earned his first Billboard Hot 100 hit in August with ‘That’s On Me‘ which also topped the Urban radio charts a couple of weeks ago. The reported shooting came just hours after the death of Dallas comedian Roylee Pate, who previously had beef with Yella Beezy. Two weeks ago, Roylee Pate was shot in the foot and a blood clot in his lung led to his death. Some fans online have linked the two incidents.